Hold your breath and let’s take a deep dive into creating viral Instagram content that goes off. When I say viral Instagram content, I mean content that makes people tag their friends, like, comment and save it to their albums. Viral Instagram content gets significantly more engagement than your normal posts usually do. You know you have a viral Instagram post when it has 100,000+ likes and views and thousands of comments while being posted by an account that has only a few hundred or few thousand followers. Now, going viral isn’t as easy, as you need to have so many different things working in your favour. This happens rarely. However, you most certainly can take out some of the guesswork. One piece of the puzzle is high-quality content that people want to share. 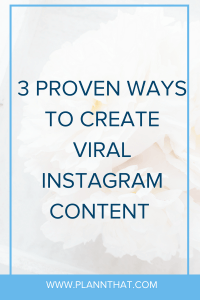 In this article, we’ll explore 3 ways to create this type of viral Instagram content. This idea is quite simple. First, you need to find posts that have done well and went viral in the past. 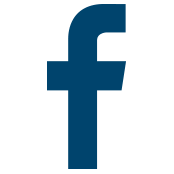 You can use ViralFindr or any other similar tool and search content by hashtags or usernames. 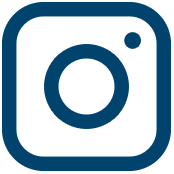 Most Instagram analytics tools also give you good ideas on trending content. Alternatively, you can take a peek at your explore feed and see what’s trending. You’ll probably start seeing a pattern in what type of content gets more engagement. After going through some of the content, try to think if there’s a video or a photo that you could reproduce yourself. The approach is to take the idea of a viral post and recreate it. For example, if you’re a travel blogger go hang out with flamingos or catch some sharks (please don’t). These posts seem to do pretty well. Film it and you’re already close to going viral. Keep in mind that posts that by their nature are “viral” go viral. Photo of a cute cat or a nicely designed breakfast table can definitely get more likes than other less interesting posts, but they won’t necessarily go viral. Pro Tip: Videos tend to go viral on Instagram more often than images. Instagram isn’t the only platform where to find popular and trending content. Definitely look what people are sharing and what gets significantly more engagement on Facebook, Youtube, Imgur, Snapchat and other social media platforms. When you find something that’s trending, do a quick search on Instagram and see if that particular clip or a photo comes up or not. If not, then it even makes sense to use the very same piece of content. Make sure you always give credit to the content author. And if possible, get their written permission as well. “Why can’t I copy paste content that I find on Instagram?” you might ask. That’s a good question. The thing is that Instagram knows when you’re reposting something that’s not your original content. Going viral on Instagram with the same content that just was trending few weeks ago is a lot harder than if you would be posting something new. A quick peek into Imgur trending section shows me a clip of these baby turtles. Interesting post idea if you’re in travel/nature/animal niche. Creating your own content and being completely original is probably the most enjoyable thing when it comes to Instagram. However, coming up with original Instagram content ideas can be challenging. It becomes even harder when we want to produce original viral content. This is where I suggest you take a pen and paper and spend a few hours brainstorming on your own. Think about what makes you or your brand unique. Is it maybe your weird accent? Is it because you’re 30 and still living with your mom? (hey, I don’t judge). Or is it something else? Most people try to hide their flaws and weaknesses, but actually, when you start embracing them, they become your strengths. You don’t necessarily need to rely on your weaknesses. Think what’s interesting or different about you, your life or your brand. We don’t see very many original Instagram users these days. I think Dominique @allthatisshe is doing a brilliant job with her content. Not only is her content fresh and unique, it also takes a bite from the viral pie. When you set out to produce your own unique content, always make sure you use a good camera and great lighting. If you’re shooting a video, write a script and practise it many times. If you’re not great at filming or editing, then hire somebody. High-quality content is more likely to be shared and go viral on Instagram. I hope these tips inspire you to go out there and create some amazing viral Instagram content. Remember, the content you put out there defines you. It gives you a “voice” too and has the ability to make your brand shine. If you’re just posting viral video after viral video, your account becomes the home of viral videos. Is that something you really want? I think it’s safe to say that going viral on Instagram with every post shouldn’t be your goal with Instagram. If you haven’t had any luck getting massive exposure yet, then it might be a good idea to browse around and see if there’s something you can create that has a potential to go viral. Like I said before, creating viral content is just one piece of the puzzle. It also requires a good content distribution strategy which is a topic for another time. However, if you’d like to get any personal tips on this topic feel free to shoot me a message on Instagram – @gettinggrowth. 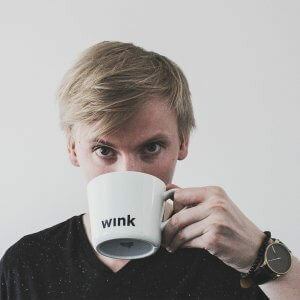 Johannes helps small businesses and individuals with their online marketing challenges and writes about Instagram marketing for his blog GettingGrowth.com. Apart from his business, Johannes enjoys taking walks with his shiba inu dog.